Recovery Palooza 2016 will be held at Ah-Nab-Awen Park on Saturday, September 17, 2016 from 1 p.m. - 5 p.m. Celebrating its true tenth anniversary in 2016 is Grand Rapids' own Recovery Palooza. 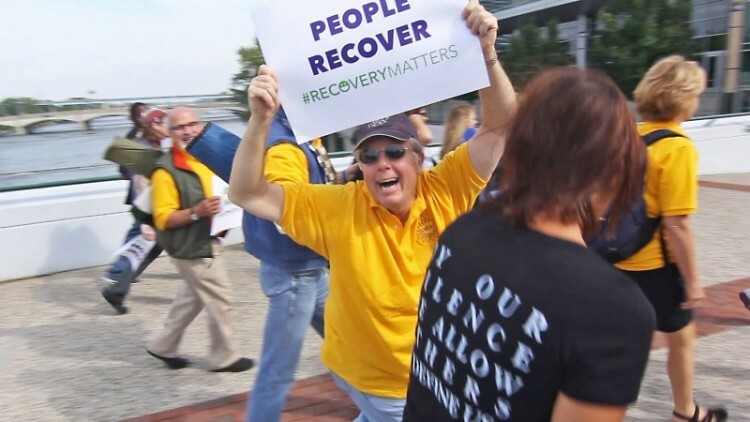 Recovery Palooza is the signature event of local non-profit Recovery Allies of West Michigan. This event is a community celebration and educational afternoon for all those connected to the world of recovery. It will be held at Ah-Nab-Awen Park on Saturday, September 17, 2016 from 1 p.m.- 5 p.m.. There are a thousand ways to become dependent upon a substance and/or behavior but, contrary to public awareness, there are a thousand pathways out of that destructive lifestyle as well. Douglas Hulst, Director of Community Relationships at Recovery Allies of West Michigan said, "I am celebrating two years of sobriety, today, the 30th of August 2016. The last time I allowed alcohol into my body was the morning of August 30, 2014. It was the final drop of a two-week collapse from the shock of losing my job and a relationship due to Substance Use Disorder. That morning my family calmly, compassionately and lovingly intervened and helped me step away from my life in Chicago and into treatment here in West Michigan. What unfolded still continues to grow and expand, each day. The first step was to heal my body and mind, which are not two separate things, by the way, and regain a basic level of wellness which had been lost for years. The second step was learning tools which, over time, have given me a new way of thinking, each day one at a time. The third step was practicing and using these tools, growing and learning, more and more and more each day because of and due to them." The mission of Recovery Allies is to educate and unify the 20 million Americans struggling with Substance/Behavior Use Disorder and the already 20 million Americans living a lifestyle of Recovery (whether they identify it as such, or not). Hulst added, "Putting these steps into daily practice allowed perhaps the most powerful and profound revelation of all; an individual gets to define his/her own recovery. You get to say when you are in recovery. You get to say if you even call it recovery. You are completely in charge of your life following the destructive power of Substance Use Disorder. No entity, no 12-step group, no doctor, nor clinician nor peer support counselor gets to define your recovery. At the end of the day, you do. That is both power and peace. I'm learning more and more that these two things are one in the same and that strength and serenity are, too." Come to Recovery Palooza 2016 to smile, laugh, learn, grow and celebrate with Recovery Allies and the local Grand Rapids community. Or, go to the Facebook page for the more information.